Where to go in the Swiss Alps region? In the heart of Europe you will find a small peaceful land unlike any other. A small peaceful land where mountains and lakes are common and yet they can still marvel all of your senses. This small peaceful land is Switzerland and here’s 12 photos that will make you fall in love with it. 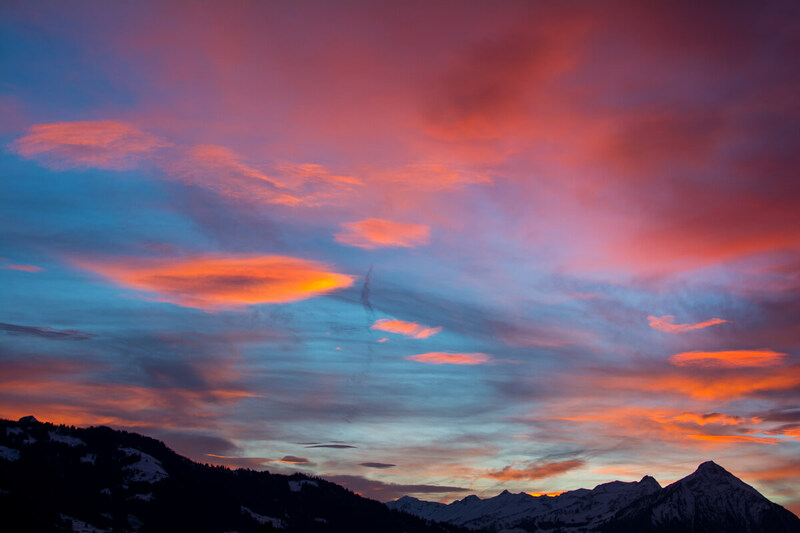 Are you ready to behold the best mountains, lakes, waterfalls and sunsets of the Swiss Alps? “Neutral like Switzerland” is probably the most well-known reference to the country in the minds of people all over the world. 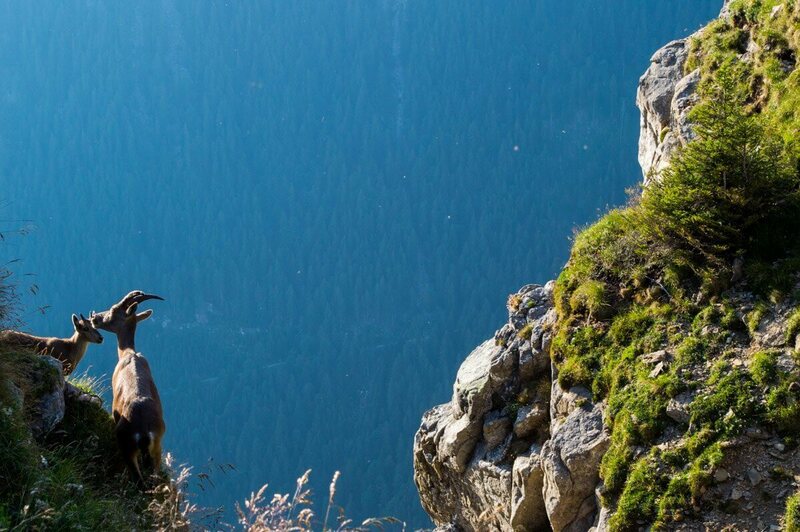 And well, when you visit Switzerland, the answer to that is blatantly obvious: why make war when you can just enjoy the natural beauty of your own country? Switzerland is without any doubt, the most beautiful country that I have visited so far in terms of natural landscapes. Amazing, uh? 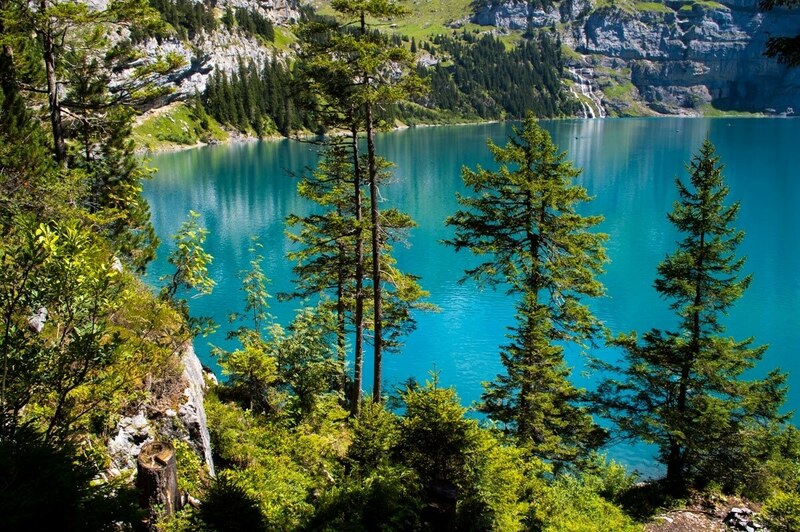 If you love nature, Switzerland is a natural choice for you to visit and since the distances are quite small, you can go anywhere in just a couple of hours thanks to the efficiency of the Swiss rail system. Fancy some wine with chocolate and melted cheese? Then Switzerland will definitely amaze you with its culinary choices. Trust me when I say that taking a boat trip in one of the lakes while savoring fondue is one of the coolest experiences in this side of the world! Plus, nothing beats the joy of enjoying a glass of wine as the sun sets behind the snow caped mountains of Switzerland. Mountains, lakes, rivers, waterfalls and much more awaits you in this small peaceful land located in the heart of Europe. “Where to go in the Swiss Alps region, Raphael?”. Well, during my latest journey, I focused on exploring the German speaking part of Switzerland using Zurich (check out the best things to do in Zurich here) as a base. It is definitely hard to believe that mere two hours away from the buzz of the city you can actually find impressive landscapes such as these ones. No town or region in Switzerland is the same and each one of its 26 cantons (think of them as states) has its own unique charm. This time I explored four of them (Zurich, Lucerne, Bern and Valais) and two weeks was not nearly enough to explore all of their amazing sights! 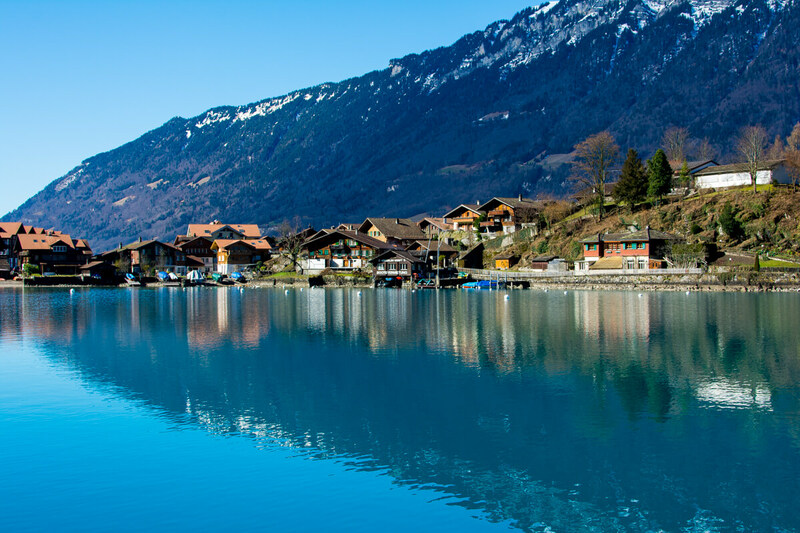 In fact, the canton of Bern (which includes Interlaken, my favourite Swiss town by far) is so big and diverse that it will take you at least one month to explore it all. Lakes, mountains, waterfalls and sunsets. What’s not to love about Switzerland? Winter, Summer, Spring or Autumn? When to visit Switzerland? If you ask me about the best time to visit Switzerland, I would say that you should at least try to do so in each one of its four seasons since that way you can watch how the nature will change its colors and how the mountains truly come to life. Temperatures never get that cold in Switzerland so even in Winter you can still enjoy a picturesque boat ride in Lake Lucerne to explore the many little villages that surround it. Don’t you just love the way that man has found to co-exist with nature and with themselves? Seeing how people in Switzerland have managed to stay peaceful and still be one of the most successful nations in Earth sure brings me hope for the future of mankind. I mean, who needs war when you have nature? Switzerland is a fairly small country so no matter where you’re based, you can just take a train ride and explore every single region of it. For exploring the German speaking area of Switzerland, I would recommend basing yourself in either Zurich, Lucern, Interlaken or Bern and purchasing a rail pass to get unlimited train travel. This time I based myself in Zurich and I took many day trips using my Eurail pass. 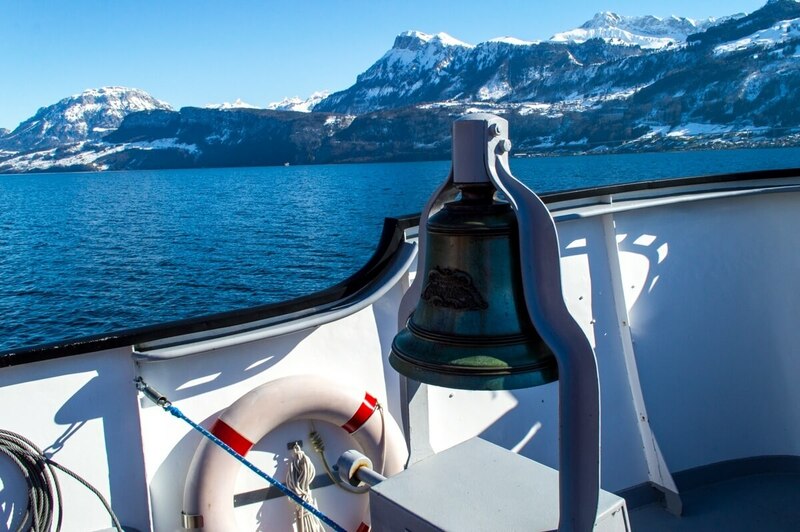 Most boat companies are also included in the pass so you can enjoy Switzerland’s many lakes without paying extra. However, be warned that Switzerland has some private rail companies that are not included in the pass (such as the route Visp-Zermatt) so you’ll have to pay extra for them. Have you ever been to the Swiss Alps? Would you like to? Share your thoughts and let me know what you think!!! 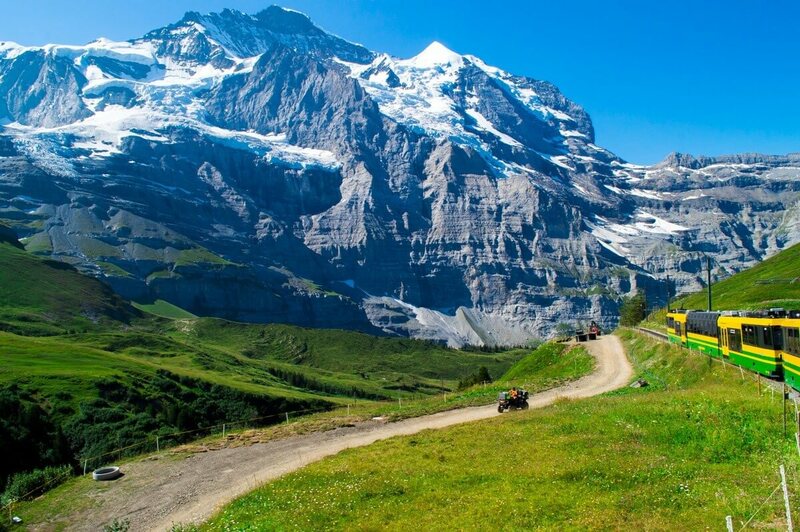 I have never been to the Swiss Alps but I would love to go explore this beautiful scenery! Did you do any skiing while you were there? Not this time but I would definitely consider doing an epic skiing adventure in the future, Switzerland is truly amazing!!! I would want to go snowboarding there! I know that the Matterhorn (sp?) is open 365 days a year! No matter what time of the year, you can go skiing! That sounds good to me! Stop this, Raphael. Stop making me cry. Haha! The Swiss alps are absolutely one of my ‘European goals’ and it’s nice to have seen a ‘peek’ of it even more through your post here. Awesome shots/angles as usual. Safe travels! A cruises going through Switzerland sure sounds amazing, specially with chocolate, wine and fondue haha! Beautiful photos. Switzerland is on my list, though I’ve heard it’s expensive when compared to neighboring countries. Definitely want to visit this year while I’m living in Europe. Yes, food prices are over the roof! The same kebab you can get in Germany for 5 euros costs 15 Swiss Francs here (the conversion is roughly 1:1 these days!). Great photos! I was in Switzerland in 1998 and adored it, even got to do some skiing. I wonder how you felt it was expense wise? Everyone told us it would be crazy expensive but we stayed in smaller towns and in the lovliest hostels I’ve ever been in and it was super cheap! Food was very expensive and so was transportation but everything else was very cheap compared to European standards mainly because of the low tax rate of Switzerland. That being said, it is possible to survive on a low budget as long as you cook instead of eating out. Switzerland is such a great country – I also based myself in one area and used a Eurail pass to take day trips and explore the country. Thanks for the great feature! Yes, having a rail pass is such a smart idea since you get to see most of the country at your own freedom and pace! Loved seeing all your photos! We are heading to Switzerland for the first time in June. My son is looking forward to the Matterhorn. Nice! 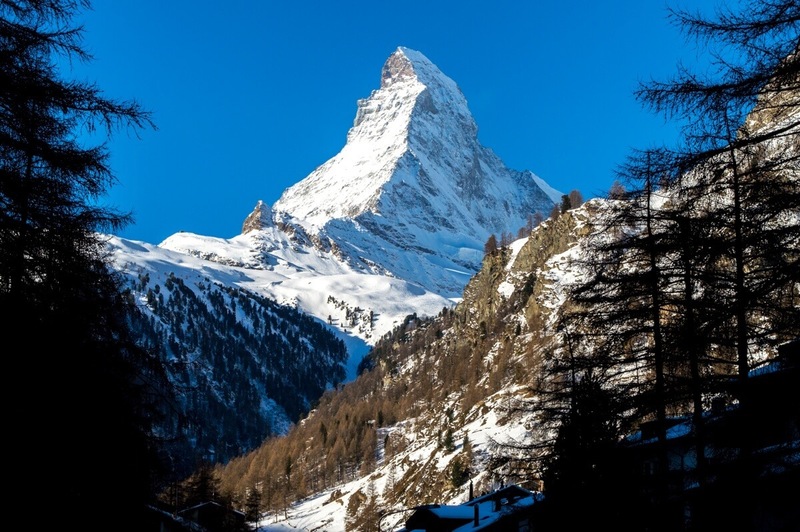 The Matterhorn is a very beautiful mountain, be sure to reach Zermatt to get one of the best views of it! Yay! I am heading over to Switzerland this month and was wondering..
Would you recommend Zermatt or Lucerne? I only have time for one..
It’s a hard choice, Lucerne has the lake and the old town while Zermatt has the Matterhorn. You can do skiing in both (well, around Lucerne) but if mountain climbing is not your thing, then Lucerne is the winner in my opinion! The view is breathtaking! And your photos are very convincing…so beautiful! Your objective to make your readers want to visit Switzerland is very effective. Thumbs for this post. Im off to plan my itinerary! 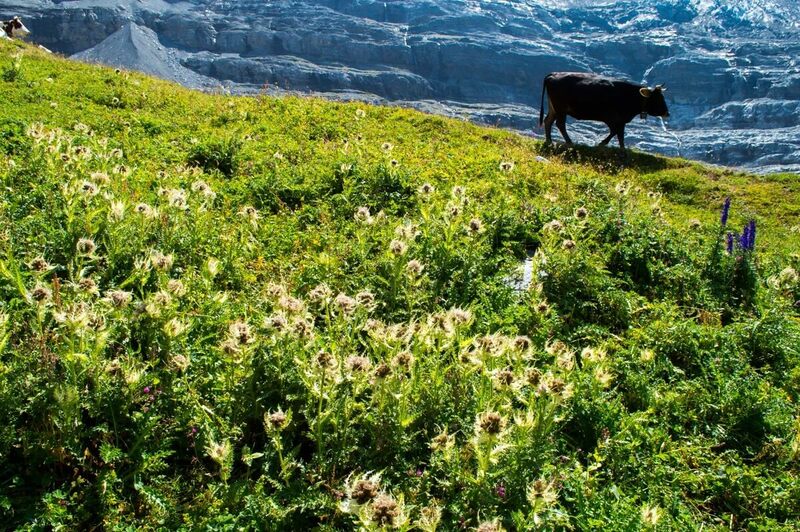 Definitely, Switzerland is a country filled with endless natural wonders! 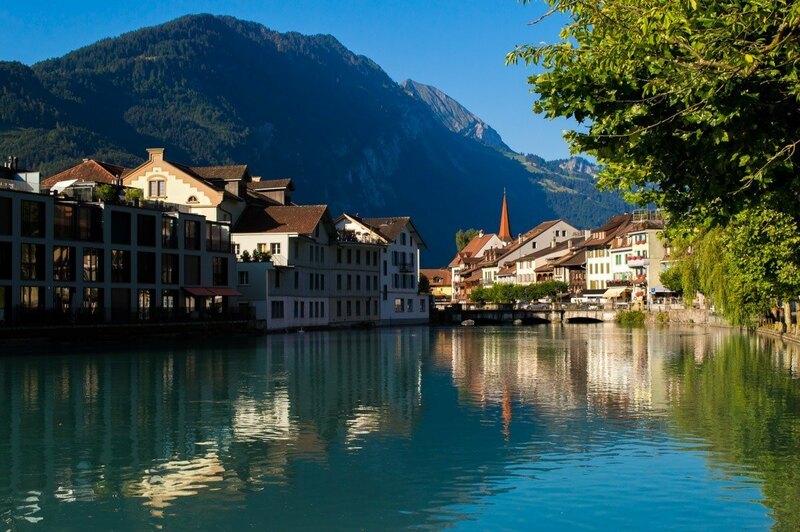 I’ve only been to Interlaken, but I absolutely loved it. We were there in the spring, and lucky with perfect weather. 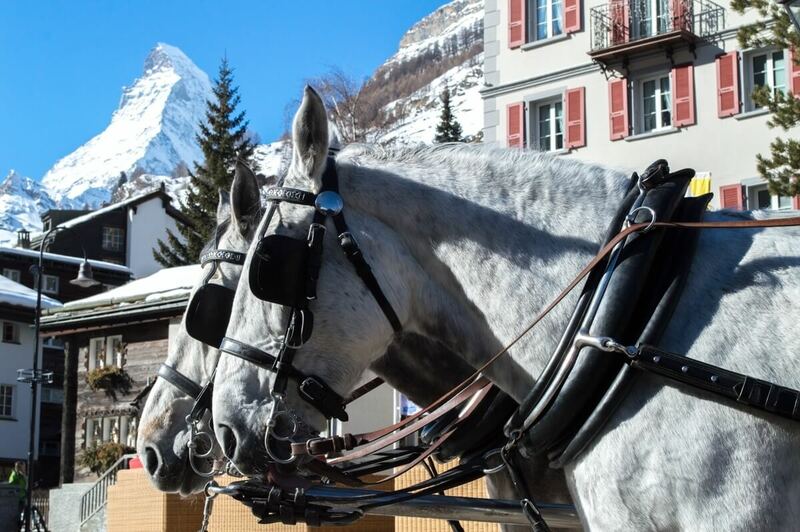 I’d love to visit the other Swiss towns on your list, especially Zermatt. I’m sure you’ll love Zermatt, the Matterhorn is the world’s most beautiful mountain by far!!! These photos are unreal! Have only been to Geneva thus far, but would LOVE to explore more of the country! Looking at these photos makes my skin feel cooler. The refreshing blues of the mountains and water – I can’t wait to visit someday! Definitely Gina! Switzerland is truly a photographer’s paradise! Crazy to think 2 weeks isn’t enough! Sounds like this was a great trip and the pictures are just breathtaking! They surely are! Switzerland definitely set the standards way too high for the rest of the Alps now! 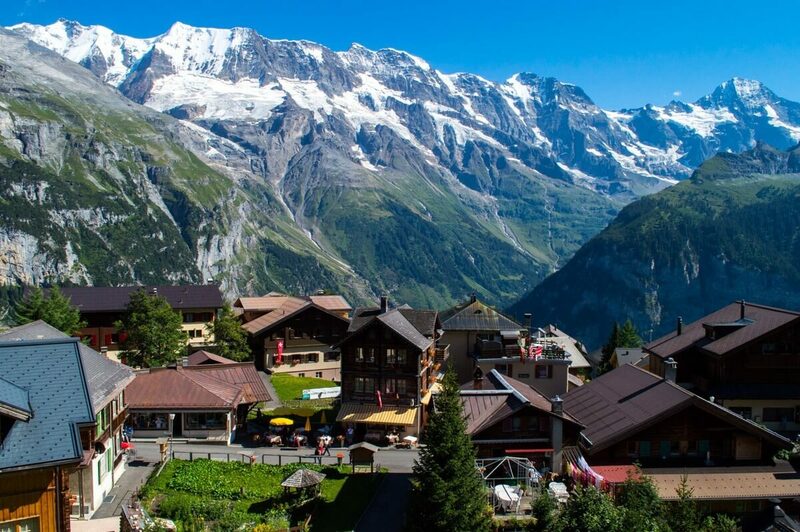 I have had the pleasure of going to Switzerland many times thanks to having close family there, and it truly is as stunning as these photos show. I’ve not been for a couple of years now, but you’ve inspired me to return! I was in Austria last October and I loved it. Salzburg is a beautiful city. I will definitively be visiting Switzerland in the next year or two. My sister told me that Switzerland is similar to Germany. I think Germany is beautiful. I’ll have to make my own decision about that. I’m going to Geneva the first weekend of June and then I have 4 free days to explore. Do you have any suggestions aroung Geneva lake or should head straight down to Interlaken?